RV or recreational vehicles are used all over America, and many of them are now powered with solar panels. RV’s are typically used by people who travel around a lot either for professional purpose or plain recreation, and most of these folks have to plan and schedule camping sites so as to be able to access a RV hook-up. Installing RV solar panels is a much more convenient and clean way to power your vehicle. With RV solar panels you can produce all the energy you need for your vehicle without having to go through the usual hassles of an RV park and the like. RV solar panel kits are also provided with a battery generally for backup over short periods. How Many Solar Panels Do I Need For My RV? The number of solar panels required to power your RV depends on the type of the recreational vehicle used and the number of utilities used inside it. 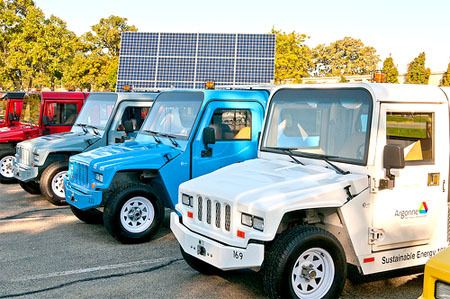 A small television, usual interior lighting and in-built gizmos require around 80 watts to 130 watts worth of solar panels to power your vehicle. More appliances mean more power requirement. If other AC appliances like a coffee machine, vacuum cleaner and the likes are used, the power requirement can easily go up to 200 watt to 400 watts and more. Companies and utilities selling RV solar panels generally have a solar calculator to help you determine the wattage requirement. The solar calculator takes into account the type of recreational trailing vehicle used, the number of different utilities used and the hours of usage to guide you about the power requirement for your vehicle. Depending on the power output required by you the number of solar panels will vary. There are mainly two types of solar panels for RVs. One variety is the standard mono-crystalline and polycrystalline solar panels. The other type uses film and amorphous solar technology. The second variety is cheaper and wears out faster. For more general information see the different types of solar panels. How Much Do RV Solar Panels Cost? While a basic RV panel can cost around $400, larger units with inverters may cost up to $4000. The average price is pegged at $900 to power a regular RV.